The SwiftKey beta application is receiving an update today, bringing with it a new Clipboard feature for users. 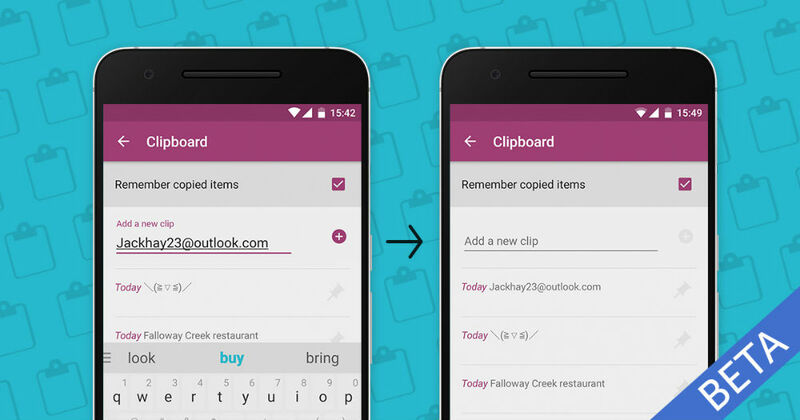 When using, the Clipboard will allow users to maintain, albeit for a limited amount of time, a list of text that is copied (or cut) on Android. Items that are copied or cut will remain on the list for an hour, granting quick access to the information you copied via SwiftKey Hub. According to the changelog, if there is a copied item you need for longer, you can “pin” it, making sure it won’t get deleted. Users can also add commonly used snippets, such as phone numbers, email addresses, or web links. Instead of having to type that info in numerous times, simply copy it from your Hub, then paste it into a text field. Pretty ingenious, if I do say so myself. For those who are not running the beta, you can download it onto your by following the Google Play link below the changelog.